The effects of a new nonpharmacological method of treating insomnia—“brain music”—were studied. The method is based on the transformation of the EEG into music using a special algorithm developed by the authors. Sleep polygrams were recorded and analyzed, and EEG segments corresponding to different sleep phases were identified using standard criteria, and were transformed into music. Patients listened to the resulting audio cassettes before going to sleep. 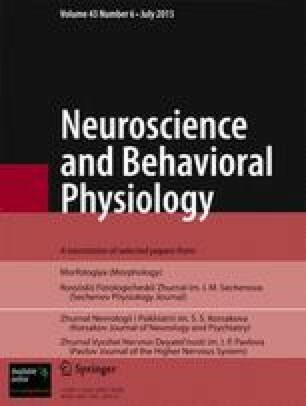 Clinical, questionnaire, psychological, and electrophysiological (polysomonographic, electroencephalographic) methods were used before and after 15-day treatment courses in 58 patients with insomnia, who were divided into two groups: group 1 (44 patients) formed the experimental group, and group 2 (14 patients) formed the “placebo” group (in whom the “brain music” of a different patient was used). “Brain music” was found to have positive effects in more than 80% of the insomniac patients both from the point of view of subjective sensations and in terms of objective studies, i.e. neuropsychological and neurophysiological investigations. The high efficacy of “brain music” in patients with insomnia was combined with an absence of side effects and complications. The material in this paper has been presented previously, at the Second International Meeting on Psychiatry and the Central Nervous System, November 2, 1994, Paris. Department of Nervous Diseases, Faculty of Postgraduate Professional Education and Center for Sleep Studies, I. M. Sechenov Moscow Medical Academy, Moscow City Sleep Center. Committee of Health of the Moscow City Council at A. A. Ostroumov City Clinical Hospital No. 33. Translated from Zhurnal Nevrologii i Psikhiatrii imeni S. S. Korsakova, Vol. 97, No. 4, pp. 39–43, April, 1997.